Personally, I think it's important to communicate our questions and concerns about questionable teachings, too. But this is not up-building in the congregational setting. It's not the purpose of the meetings. If we take in consideration how "voice" of Spirit beside His powerful expressions have other side too, and that is that Spirit is very sensible, soft, coming to human individuals if we allow Him to come. Spirit is (i think) not pushy, demanding, Spirit not love to force other to accepting what He want, but He love our free will and He love to see our give Welcome to Him. To Spirit is easier to approach to us, if in us there is no noise, that kind of noise because of what, we can not hear his quiet and soft voice, call: "Come!, Hear Me!"... or else. But as i express myself in previous comments, Spirit can go wherever He want to go, when ever He want, and to "visit" all people no matter what they are in particular time. Even if you are in mess He can come to you. I see sort of "technical problem and spiritual problem" when you mentioned "purpose of meetings" in JW community. Program of meetings are in sphere of Uniformity under common believes how worldwide Unity depends on Same Program for All. This is, i think, one moment when Human Program makes barrier for Free Spirit to come. (two things i have in mind with Free Spirit, and that is Holy Spirit and your Personal Spirit). I've used this particular forum as a place, outside the congregation, for the time and place to speak up about things I have sought, and things I have given up on. It's a place to discuss whether certain deeply entrenched things should be thrown out, preserved, or whether they should just be patched up. Then you would agree there is a need to comprehend what is before us. 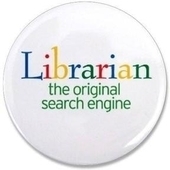 Especially when it relates to definitions of particular words. This prevents us from thinking we can be perfect instead, try to imitate perfection by following in Jesus footsteps. Do you honestly believe you are perfect according to the word, perfection? Even if we comply with every instruction given by Jesus and the commandments given by Jah can we remove our sinful state? What is one of the prerequisites to maintain that appearance of sinless state, if not with obedience? Of course you are aware that the word accordingly was put in by the GB or writing dept of W/t are't you ? Hence i gave you the King James version also. "You shall be therefore you perfect as the Father of you the heavenly perfect is." That is directly from the Greek hence seems strange BUT no mention of the word ACCORDINGLY. The GB make it up as they go along. And this perfection is expected of the Anointed not of the earthly class. @JW Insider In my opinion that is the reason the Tuesday evening group study was stopped. Because bros and sis were talking amongst themselves about the things that the GB were doing wrong. The GB nor the elders had the control over the group studies because after the study the people there would have tea and cake etc, and sit down and chat. The Elders did not have control over the conversations, the questions asked, the details given. Yes there was one elder in each group but he could not control the whole group. The GB didn't like that around 20 or more congregants could have group discussions which the GB did not control. I believe there were similar problems in Bethels where bros would gather together for personal group studies without the control of an elder. The GB are frightened, that much is obvious. 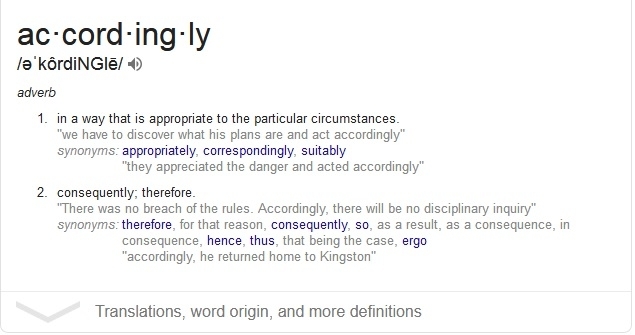 IN Greek text not existing word "accordingly"
f course you are aware that the word accordingly was put in by the GB or writing dept of W/t are't you ? Then you cannot appreciate what scripture is actually relating to us mortals. If you wish to bring in scriptural understanding with the old Greek Classic, versus the Koine Greek, if you have experience with linguistics, then, by all means, let’s discuss this matter through intellectual understanding. From the textus receptus, Latin Vulgate, or whatever codex you wish to use. Even the Westcott and Hort. Since Srecko failed to reply on how his wisdom is above all others, then I can only stipulate this is your idea also. Logic, as seen through the definition, brings in many afterthoughts. The word perfection is not intended as you describe it. If we do, it loses all credibility to what is intended through scripture. This is a fundamental flaw in understanding. We can only imitate perfection, not become it until after Armageddon. To an extent, you and Srecko have become what the post is. How would you go about teaching and inspiring over eight million witnesses and about twenty million interested parties? Remember, there are language barriers and scriptural interpretation to consider. Have you ever run a corporation? You place your self above all the anointed. Can you explain how Jah gave you this higher spirit? Teaching and inspiring, about this issue, is job for Spirit, not for me to care about. Because Word we talking about aka Bible aka God's and Jesus's teaching are not came in existence with my birth day. If you believe in Bible reports about Power of Spirit who made that people speaking various languages and in that way give testimony about God, then you can put your trust in this same Spirit. This Spirit, i suppose, is able to overcome language barriers, you talking about, because this same Spirit was causing language barriers in humankind before many centuries, according to Bible report. People run Corporations (GB run WTJWorg inc.) but I am not sure that Holy Spirit have interest to run any Human Corporation. I would rather be ready to believe how Holy Spirit wish to run human hearts. I won't be pathetic enough (unlike some) to start calling you names or retaliate to your last comment. The scripture i quoted still stands. It is from God's word and accordingly does not appear in it. In my opinion the scriptures were written only for the Anointed to FULLY understand. Yes of course we of the earthly class can understand much of it, but not all and not fully. The TRUE Anointed obviously have a much closer relationship with God and with Jesus Christ. But the whole point in question is, are the Governing Body of Jehovah's Witnesses 'perfect' ? That is, perfect in the way that Jesus meant in that scripture. And the answer has to be NO. As can be seen by their actions and words. You may say it's not my place to judge, but we have to judge to know whom we should follow. I think that brings us back on topic. The GB pretending to be things they are not. 1. They cannot be Anointed 2. They cannot be the Faithful and discreet slave. Teaching and inspiring, about this issue, is job for Spirit, not for me to﻿ care about. Then I can only say, what are you doing here? Scripture is meant for those that follow Christ, not become retaliatory to let off steam. If you have insight about scripture with a better interpretation, then, by all means, let’s hear it. This idea of criticism by you and Bultler has brought nothing but failures in understanding. We are all adults. But there is a difference between being a human grownup, and being a spiritual child that matured. Let’s get off meaningless criticism and concentrate in fundamental in Bible truth if you wish to learn. If not, then there is no need for further discussion. It seems something offended you. I have seen many of your other posts. I wouldn't retaliate either or be pathetic about it. As for your argument about perfection. Consider the other definition that is associated with Christianity, not common usage. Therefore, the word accordingly is an abstract that can be used as relative. Um, offended I don't think so. I find you amusing actually. I'm happy that you read my posts though. And this is just a forum, it is not guided by Holy Spirit, so letting off steam is ok.
Do tell me though how my criticism of the GB and it's JW org concerning Child Abuse has failed ? I think it is the GB that have failed to protect the congregation Earthwide. As for discussion, we don't ask you to take part in it. If you find it pointless then please don't bother us again. Different topic. Stick to this one, or do a new post for it. Are you still that far behind, catch up. We finished that part of the discussion hours ago. you can use that word if it so please you. Doesn't make it right . Oh dear I think I've hit a nerve of yours. But you were saying about my pointless criticism so I thought I'd show you a criticism that had complete truth in it. Dear Felix, your gave your trust in "noble man" of GB. JW believe how only They are anointed to making interpretations on Bible text. I am not making "criticism" about WT but have Critical Thinking about WTGB doctrines and policy. Important!! Read this 3 times every day, every 8 hours, as antibiotic cure :)) Then Joseph said to them, “Do not interpretations belong to God? Felix. 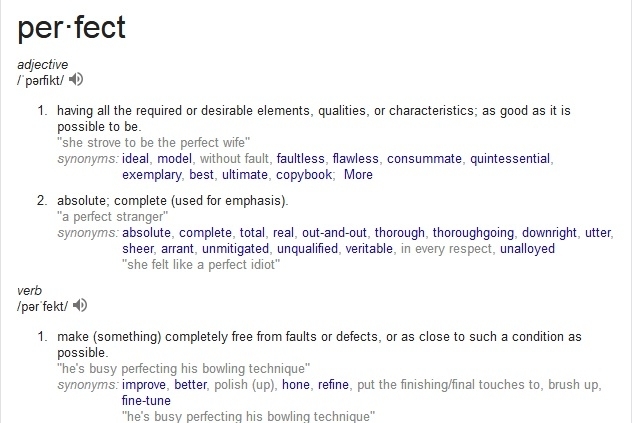 To an extent, “perfect” relates to being spiritually complete. Even if you use the KJV, it amounts to the same when it depicts in translation “brought to its end” – “consummate human integrity and virtue.” The Watchtower simply uses “accordingly” to achieve the same goal of looking for Spiritual maturity, completeness. Anyone understanding ancient script has no problem understanding. However, it is useless to exercise intellectual communication here with the majority. Even if they state they don’t want to be seen as an ally, yet support untethered mischief. Too many friends among foes. This is why The GB understand what being imperfect means and what spiritual maturity means. If they didn't, then they would be just like any other teacher that thinks, they are equal to Christ as the POPE. Many evangelical also. Some profess to have healing powers like Christ. Some believe they have the power to remove sin like Christ by Catholic priests. In reality, no one. No one can substitute as the Head of the anointed Body of Christ. Another oops. Their false “priesthood”, the elder body, do just that. Haven't you heard of a "judicial committee"? They have the power to kick someone out as a sinner, and feel qualified to discern that God has forgiven a sinner, to allow them back in the congregation. Unfortunately, you’re mistaken on both accounts. Perhaps, researching the Catholic faith as well as the Watchtower will make it clear on your errors. When someone goes into confession, they are seeking absolution from sin. Perhaps this definition on the word absolution will help. Not that it makes a difference, but when you understand a judicial committee, you will find out, they are formed to keep a congregation clean, not relieve anyone of their sin. When someone repents, it is showing God and asking him to be forgiven by his/her action. This is why the GB adheres to scripture without confusing its understanding like many here. @BillyTheKid46 Quote : This is why the GB adheres to scripture without confusing its understanding like many here. That is a good laugh ! Thanks Kid. Like the two witness rule used in Child Abuse cases, but not used in Fornication accusations. And the fact that a person has to agree to 'serve' the Org when they get baptised. Kid you are completely blind.